Even when all is frozen and quiet, no signs of life anywhere, there are tiny strings of life telling us it is not all gone. We just need to look and listen carefully. Wonderfully seen and captured--especially those little threads. Your words ring true. So gentle and fragile, I love it! 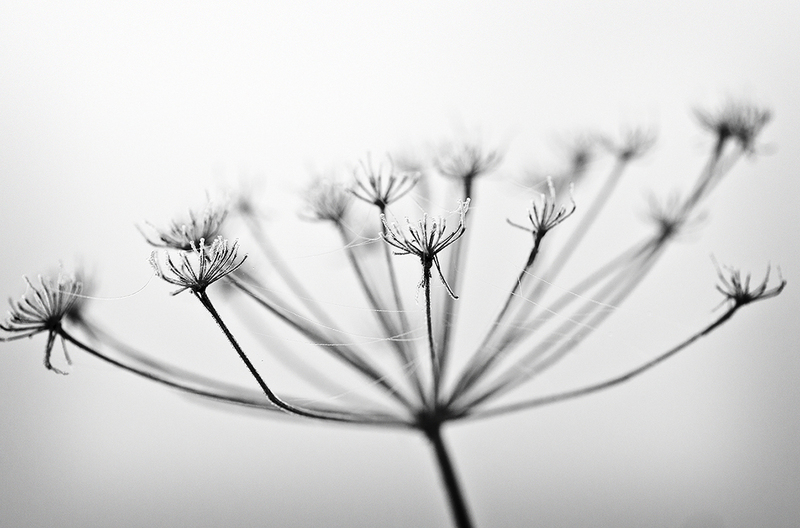 That is a fabulous monochrome - I love the shallow depth of field and beautiful details. Great work! Nice compo it look's like frozen in time "
Love the delicate quality of this coupled with your very wise and poetic words. Lovely, delicate image and words, both very well considered. Brilliant shot! So frozen and delicate!